TNTET 2017 Application Form: The Tamil Nadu Teachers Recruitment Board was recently released the notification for TNTET 2017. The candidates who looking for the teacher eligibility test in TN, can apply by logon the official website of TN Teachers Recruitment Board. Before going to apply, you are advised to read the eligibility criteria which is available under this article. If you full fill the eligibility, the fill the TNTET Application Form 2017 and submit it. The TNTET 2017 registration link is only enabled in short time of period. So we advised you to apply for Tamil Nadu Teacher Eligibility Test 2017 on or before the end of last date. To know more detailed information regarding how to apply for TNTET 2017 by read go through the Prospectus. For 1st to 5th Class Teacher: The candidates must have complete 12th class with BEd/ Nursery Teacher Training Degree with having two years of BTC in Urdu from any recognized institute. For 6th to 8th Class Teacher: You should have possess Graduation in BEd with minimum of 50 % marks in a recognized University, can eligible to apply for TNTET 2017. In Tamil Nadu Teacher Eligibility Test, the question paper will divided into two part such as Paper I & Paper II. The each paper holds the topics from various fields which is given below. The minimum age limit to apply for TNTET 2017 is 18 years. To know the clear information about the age restriction by refer the official notification of TNTET 2017 which is available in our examlevel.com site. First visit the official site of TNTET i.e. trb.tn.nic.in. Now find and click the link called TNTET 2017 at the top of the page. Before going to apply, scan your photograph & signature and then click "Apply Online". Fill up all the required details in the TNTET Application Form 2017. After completed the uploading documents & payment process, click the submit button. Recheck the TNTET 2017 application form, before click the submission button. Finally, take a print out of submitting form for your future use. 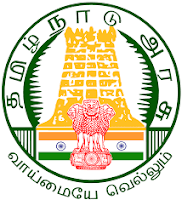 Kanyakumari, Tirunelveli, Tuticorin, Ramanathapuram, Sivagangai, Virudhunagar, Theni, Madurai, Dindigul, Nilgiris, Coimbatore, Erode, Salem, Namakkal, Dharmapuri, Pudukkottai, Perambalur, Tiruchirapalli, Nagapattinam, Thiruvarur, Thanjavur, Villupuram, Cuddalore, Vellore, Karur, Thiruvannamalai, Kancheepuram, Chennai, Krishnagiri, Ariyalur, Tiruppur. All Queries/ Clarifications related to TNTET Exam 2017, contact the Director of Employment and Training, Guindy, Chennai - 600 032.